If you’ve ever gone foraging for wild mushrooms, you can appreciate the similarities with grape farming. Success with either pursuit depends upon weather, soil, location, and experience. 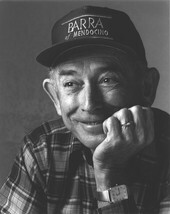 Charlie Barra, who has been growing grapes for over 70 years, is a master mushroom forager. He began hunting mushrooms as a child in the 1930’s with his family in the dense, damp forests of Mendocino County. In the spirit of Charlie’s love of sharing fruits of the earth with friends and family, we invite you to join the BARRA of Mendocino Chanterelle Wine Club.